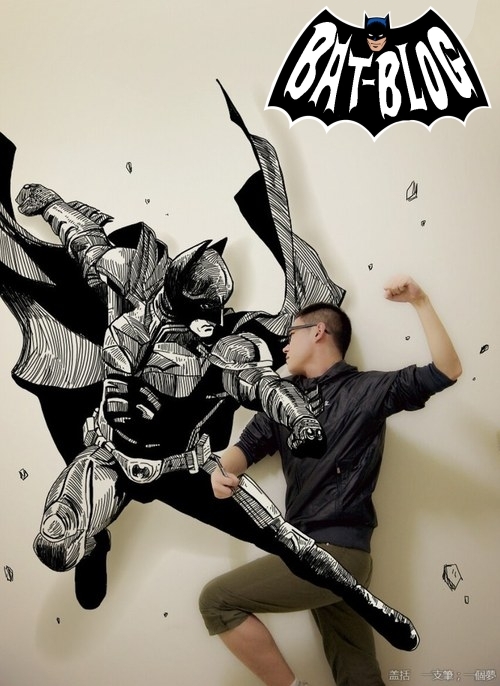 BAT - BLOG : BATMAN TOYS and COLLECTIBLES: Gaikuo-Captain's 3-D BATMAN AND JOKER WALL MURAL ART! 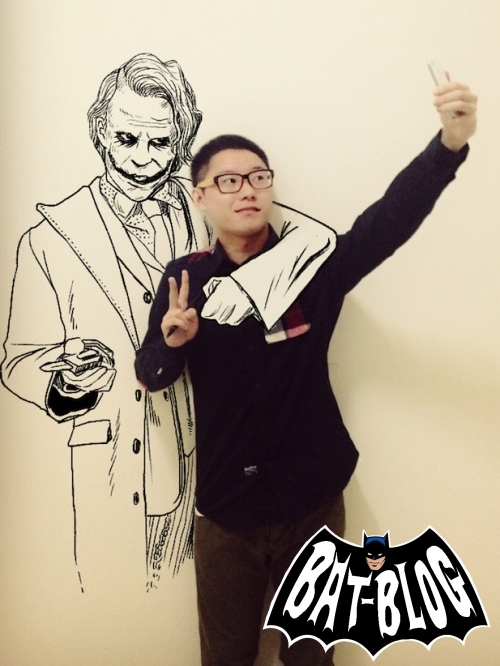 Gaikuo-Captain's 3-D BATMAN AND JOKER WALL MURAL ART! Check out this amazing 3-D Artwork by a Japanese Artist known as Gaikuo-Captain. He does these Superhero Wall Murals where he creates the illusion that they are "coming to life" and he is blending in with the art. It's pretty cool stuff! Hey, to enjoy more eye-candy just CLICK HERE.